Mr. Worldwide first took the stage for a motivational interview with Tony Robbins. 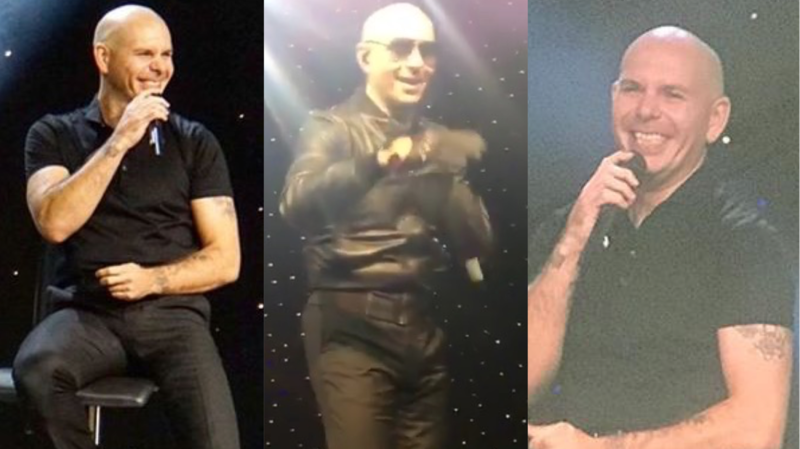 During the conversation, Pitbull touched on several subjects including his struggle growing up, how he was able to turn his life around, and how he continues to succeed. Then, Pitbull took the stage with The Most Bad Ones to perform an medley of hits including, “Don’t Stop the Party” and “Give Me Everything”.